For my money a good curry is hard to beat, it is probably one of my favorite foods. When it comes to curry, I think Thai restaurants serve the best, so when I see a new Thai restaurant I usually make it a point to give it a shot. Thai House Cuisine 2 in Draper is currently the closest Thai restaurant to my office so I decided to visit and see how it stacks up. Thai House Cuisine doesn’t have much of an atmosphere, it feels kind of generic, not overly ornate but not small or quirky enough to be considered a “hole-in-the-wall”. While atmosphere definitely gives a place its charm it is more about the food and to a somewhat lesser extent, the service. The service at Thai House Cuisine is nice, seems a little understaffed if it was ever to get full but most times I have eaten here there wasn’t much of a crowd. The people are friendly and knowledgeable and are willing to help out when you are making a decision. The menu is alright too, plenty of options and they have daily lunch specials featuring a different curry every day of the week, massaman is available as a lunch special everyday. 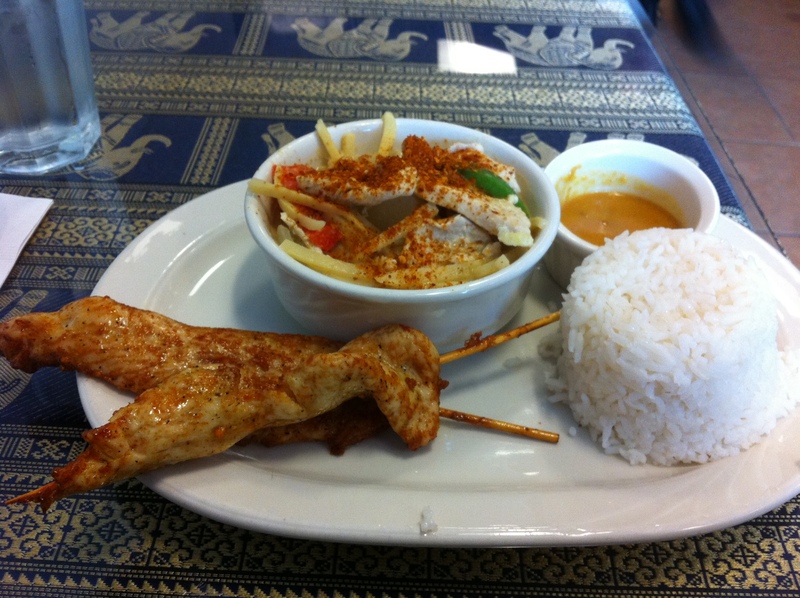 The lunch special comes with the curry of that day, soup, and either a chicken satay or spring roll appetizer. On my last visit I tried my number 1, the Yellow Curry, a wonderfully sweet yet spicy curry that I just can’t get enough of. The Yellow Curry is good, it felt a little thinner than I prefer but it is served with some very tasty and fresh vegetables and overall had a similar taste as the curry from my favorite Thai restaurant. The Curry is served with a mild spice but you can request more, on a scale of 1-5 (1 being mild, 5 being spicy) I ordered the level 3, it was a good amount of spice but I might go up a level next time. My impression of Thai House Cuisine 2… I liked it, and while I don’t place it at the top of all Thai restaurants, it is pretty good and I could see this serving as a decent replacement now that I am spending time further south. I suggest you try Thai House Cuisine 2, good food and good service, you will enjoy it thoroughly. 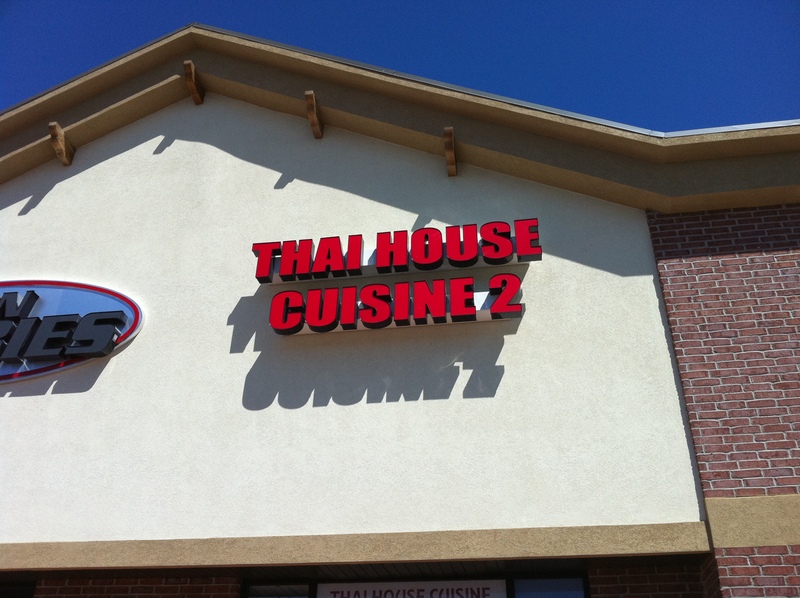 Note: This is the 2nd location for Thai House Cuisine, the first location can be found in Lehi, UT, look for a future review specific to the Lehi location.